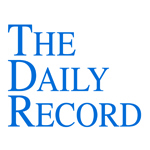 This week's Daily Record column is entitled "Ethics and Lawyers Online." 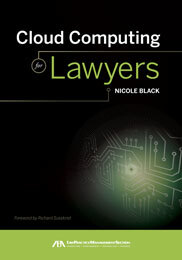 Given that I recently co-authored a book published by the ABA on the topic of social media for lawyers, and am in the process of writing a book on cloud com- puting for lawyers, (to be published by the ABA in early 2011) the letters understandably piqued my interest. I wanted to address the social media issues this week, and plan to address the cloud computing issues in next week’s column. First and foremost, I take issue with the way in which the social media question is framed. Specifically, the use of the words “Internet-based client development tools” in the heading of the letter implies that, by virtue of having a law degree, client development is always the primary underlying motivation anytime lawyers interact online. This is not a presumption when attorneys interact with others offline. Yet, because a novel and different medium is now being used to interact, client development issues are apparently triggered by default whenever attorneys interact online. Really? So, is the commission truly claiming (with a straight face) that prior to the advent of social media, lawyers never interacted with others offline for both personal and professional reasons? That lawyers engage in community activities with only a personal or professional motivation and never the twain shall meet? In that case, does the the commission believe that golf outings with other attorneys, judges, clients or potential clients are undertaken solely for personal enjoyment, with no hope of advancing professional goals? Likewise, volunteering one’s time as a member of a not-for-profit board is always done solely out of the goodness of a lawyer’s heart and for personal enjoyment (since the board meetings are usually oh-so-exciting). Similarly, participation in a local Rotary Club also is done solely for personal reasons, with nary a thought of professional advancement ever entering the lawyer’s mind. Of course that’s not the case. If your career involves providing services to the public, anytime you interact with others in their community, you should have both professional and personal goals in mind. If that’s not the case, then you likely will be out of business in no time flat. That’s not to say, of course, that every time an attorney interacts with another person — online or off — he or she does so with professional goals in mind. It simply depends on the unique nature of the specific interaction at issue. Some are personal, some are professional. Others are a combination of the two. So, when the Commission asks “[u]nder what circumstances should the Model Rules of Professional Conduct govern a lawyer’s participation in ... [blogs or professional and social networking sites] ... given that such activities often have both a personal and advertising purpose?” it seems to me that they can’t see the forest for the trees. The rules as they exist are perfectly sufficient to govern such conduct, and no additional oversight or interference is needed. Online interaction simply is an extension of offline interaction. It does not, by virtue of its unique format, merit a separate category requiring additional, more stringent oversight. Rather, common sense application of existing rules is all that is required. To suggest otherwise unnecessarily complicates matters and is indicative of a traditional mindset unwilling to join the rest of the world in the 21st century.